This is an antique pottery fox hunting jug with a foxhound handle. Antique Wedgwood Porcelain Fox Hunting Jug With Hound Handle. 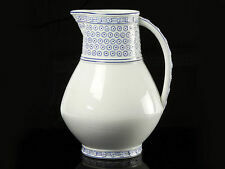 "Wedgwood Fox Hunting Jug". 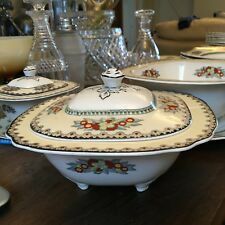 ​Its maker is Wedgwood. It dates from the early 1900s. Condition -Blue colour has worn with age -See Pictures. 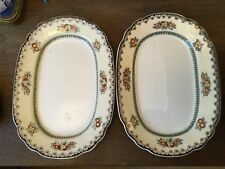 Most of the set has blue worn on the pattern and seems to be a common problem with this dinner service but even with the wear it still looks lovely and displays well on the table. 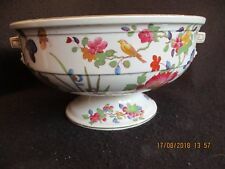 This lot is a large pedestal Bowl in the. 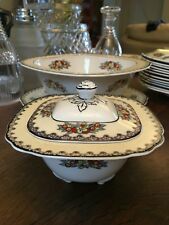 Wedgwood Majolica. 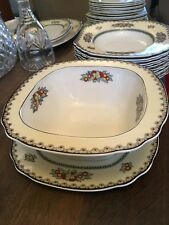 Salad Bowl with Silver Plated Servers. Dated 1909. We hope they satisfy you as to the detail and condition of the item for sale. Wedgwood Pottery ~ King George V ~ 1911 Coronation Mug. The Compass Project 2012 is a social enterprise founded and operated entirely by people in recovery from addiction. Wedgwood's creamy glaze sets the tone for a lazy, luscious border of purple grape clusters, green leaves and vines defining the edge of this large Bowl. 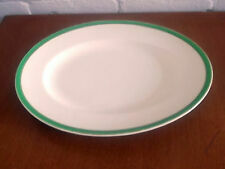 A simple green stripe encircles the outer bowl. 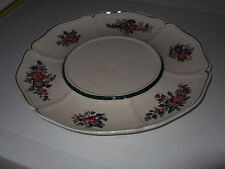 Measuring 16” across and standing 6” tall it is bowl in a pattern that is seldom seen. C 1911 with appropriate markings to base. 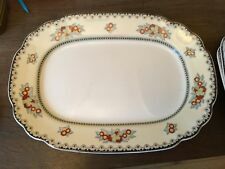 There is one of these bowls in the National Trust Collection which came from a private source Large bowl; part of a Wedgwood washing set, white with pattern of grapes and vines. B2122 with arrow painted on base. 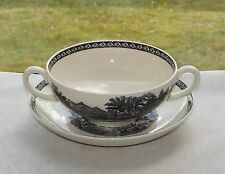 Imprinted WEDGWOOD MADE IN ENGLAND 32 N “ The photographs found hard to pick this out but it is the WEDGWOOD mark with the last “D” being slightly smaller than the other print. Condition. Overall this is in very good condition with no chips or cracks that I can see.